Newcastle trainer Jason Deamer offers a value push for recent winners to be ridden by in-form Noel Callow and Aaron Bullock at tomorrow’s Cessnock TAB meeting. Deamer has four runners throughout a strong seven-race program, flagged by tough, performed Zigamore (Bullock) who lumped 62kg to win at Taree and promising Muswellbrook maiden winner Swift Arrival (Callow). They’re the jockeys to follow; Bullock with five solid prospects and a succession of recent winners for Kris Lees, while widely-travelled Callow has four mounts as he continues to consolidate his move to NSW with regular provincial winners for Bjorn Baker. Deamer’s five-race winner Zigamore carried a huge impost for a tenacious win for Bullock on a heavy eight conditions at Taree and is well placed with a half-kilo less, contesting a Royal Oak Hotel BM 65 (2125m). “He’s tough and so honest, a proven weight carrier and Aaron gets the best out of him; he’ll appreciate out to the 2000m,” offered Deamer. Lightly-raced Choisir filly, Swift Arrival contests a XXXX Gold Class I (900m) for the veteran Callow, a four-time Group I winner, who rode overseas after winning the Melbourne premiership through 2000-2003. “We’ve given her an easy time, she’s done really well; nice progressive filly, her maiden win was strong and she can take the next step,” Deamer assessed. Latin Light (Ad Valorem) resumes to be ridden by Bullock in a Buyabale.com.au Class I (1350m) and emphasised her potential winning a Cessnock maiden by a widening 2.7 lengths when a prohibitive $1.30 in September. She was then turned out after failing up in grade at Newcastle. 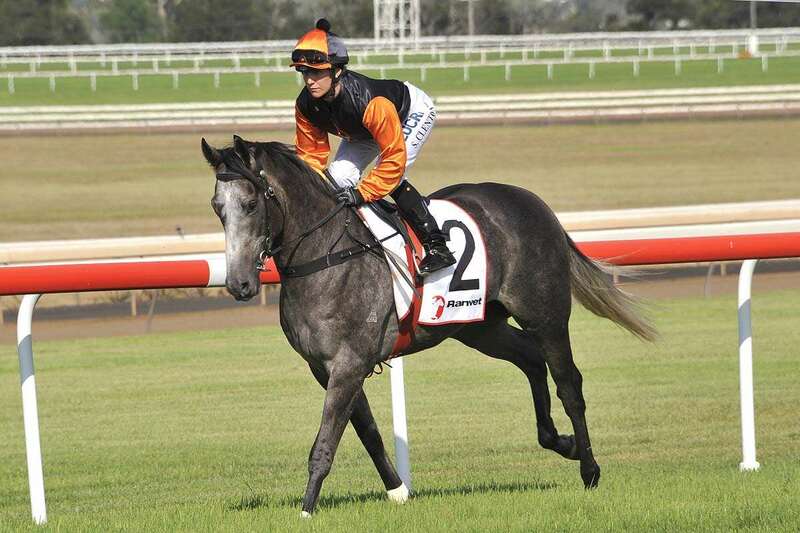 Deamer’s filly Diamond Deluxe (Delago Deluxe) will be among the favourites for Callow in the Cessnock League’s Club Maiden after being placed on debut at Taree three weeks ago. The long and profitable association of Wyong trainer Allan Denham and record-winning veteran Robert Thompson also have strong winning prospects on a day where Cessnock at present is rated a good 3 with fine weather predicted.